See this fabulously successful hit at Theatre Macon about a handsome, sparkling, and warm-hearted lady who brightened the American landscape from 1928 to the immediate past by her whimsical devotion to her young nephew who grew up to be Patrick Dennis. Playing at Cox Capitol Theatre, Rumours is the southeast&apos;s premier Fleetwood Mac tribute band. Sing along to hits like The Chain, Everywhere, Dreams, and more. This local band brings a fresh sound to middle Georgia that is steeped in the area&apos;s musical traditions. See them this weekend at Hummingbird Stage & Taproom! Enjoy more live music at Hummingbird Stage & Taproom with this Georgia bluegrass band. 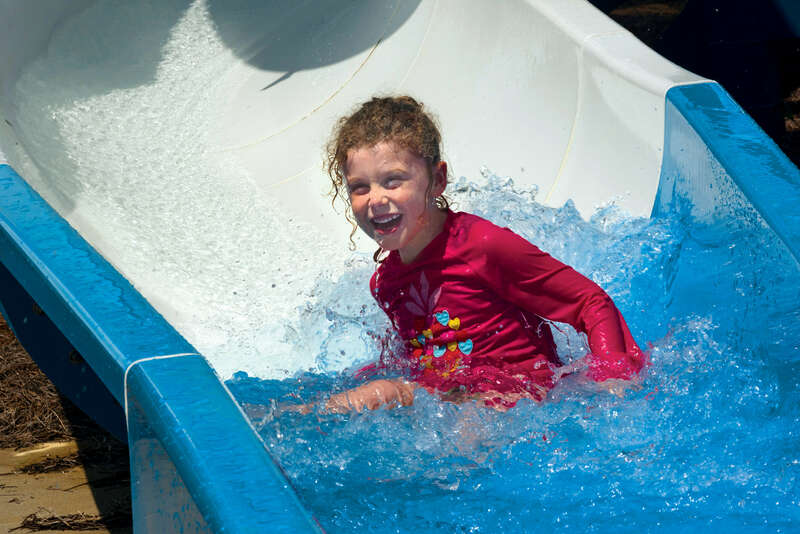 Nestled on the shores of Macon&apos;s Lake Tobesofkee, enjoy a day of family-fun at Sandy Beach Water Park. Attractions include a lazy river, water slide, wave pool, and more! The Museum of Arts and Sciences presents their newest exhibition opening on May 27. At 60 feet long, Megalodon was the largest shark that ever lived and a dominant marine predator. The exhibition features a 60-foot long walk-through sculpture and highlights the evolution, biology, and misconceptions regarding giant prehistoric sharks. What is it like to live and work on a farm? Find out at Jarrell Plantation as it comes to life with volunteers demonstrating old-fashioned skills and chores. Enjoy blacksmithing, woodstove cooking, steam engine demonstrations, and more. From 1 - 6 p.m., Macon Beer Company opens its doors for brewery tours and tastings. Spend the afternoon with family and friends in their tasting room and beer garden. Hop on a brewery tour as you enjoy complimentary tastings of their flagship, seasonal, and special reserve beers. See the front plaza at Douglass Theatre come alive with live music from Southern Art Music Ensemble. While you&apos;re there, grab dinner from the Francar&apos;s Food Truck.